Background/aim: To compare the effects of tramadol-only treatment and tramadol + gabapentin treatment in patients who had received an epidural steroid injection. Materials and methods: Forty patients with hernia disc-originated acute lumbar discogenic pain were evaluated. All patients received a single dose of steroid and local anesthesia mixture epidurally via the lumbar approach. In both groups, Group T (tramadol, n = 20) and Group TG (tramadol + gabapentin, n = 20), the injection dose was adjusted to 4 mL of triamcinolone acetonide and 0.25% bupivacaine mixture. Orally, 75 mg/day tramadol or 75 mg/day tramadol + 900 mg/day gabapentin were added to the treatment. Leukocyte, erythrocyte sedimentation rate, C-reactive protein, and urine serotonin levels were measured prior to and after treatment. The effectiveness of the treatment was evaluated by visual analog scale (VAS), Oswestry Disability Index (ODI), and straight leg elevation test (SLET). Results: Similar improvements in VAS, ODI, and SLET values were observed in both groups in the second week. The inflammation markers were not different after treatment, neither within the groups nor between the groups. Conclusion: This study revealed that tramadol + gabapentin treatment was not superior to tramadol treatment. Bonica-Loeser JD. Low back pain. In: Loeser JD, editor. Bonica’s Management of Pain. Philadelphia, PA, USA: Lippincott Williams & Wilkins; 2001. pp. 1508–1564. Sugimori K, Kawaguchi Y, Morita M, Kitajima I, Kimura T. High-sensitivity analysis of serum C-reactive protein in young patients with lumbar disc herniation. J Bone Joint Surg Br 2003; 85: 1151–1154. 4. Rosen CD, Kahanovitz N, Bernstein R, Viola K. A retrospective analysis of the efficacy of epidural steroid injection. Clin Orthop Relat Res 1988; 228: 270–272. Ackerman WE 3rd, Zhang JM. Serum hs-CRP as a useful marker for predicting the efficacy of lumbar epidural steroid injections on pain relief in patients with lumbar disc herniations. J Ky Med Assoc 2006; 104: 295–299. Devor M, Govrin-Lippman R, Raber P. Corticosteroids suppress ectopic neural discharge originating in experimental neuromas. Pain 1985; 22: 127–137. Park CH, Lee SH. Investigation of high-sensitivity C-reactive protein and erythrocyte sedimentation rate in low back pain patients. Korean J Pain 2010; 23: 147–150. 8. Van Steenwinckel J, Brisorgueil MJ, Fischer J, Vergé D, Gingrich JA, Bourgoin S, Hamon M, Bernard R, Conrath M. Role of spinal serotonin 5-HT2A receptor in 2’,3’-dideoxycytidine induced neuropathic pain in the rat and the mouse. Pain 2008; 137: 66–80. Bonaccorso S, Lin AH, Verkerk R, Van Hunsel F, Libbrecht I, Scharpé S, DeClerck L, Biondi M, Janca A, Maes M. Immune markers in fibromyalgia: comparison with major depressed patients and normal volunteers. J Affect Disord 1998; 48: 75– 82. Raffa RB, Friderichs E. Profile of tramadol and tramadol analog. In: Bountra C, Munglani R, Schmidt K, editors. Pain: Current Understanding, Emerging Therapies, and Novel Approaches to Drug Discovery. New York, NY, USA: Marcel Dekker, 2003. pp. 731–742. Raffa RB, Friderichs E, Reimann W, Shank RP, Codd EE, Vaught JL. Opioid and nonopioid components independently contribute to the mechanism of action of tramadol, an ‘atypical’ opioid analgesic. J Pharmacol Exp Ther 1992; 260: 275–285. Dirks J, Petersen KL, Rowbotham MC, Dahl JB. Gabapentin suppresses cutaneous hyperalgesia following heat-capsaicin sensitization. Anesthesiology 2002; 97: 102–107. Taylor CP, Gee NS, Su TZ, Kocsis JD, Welty DF, Brown JP, Dooley DJ, Boden P, Singh L. A summary of mechanistic hypotheses of gabapentin pharmacology. Epilepsy Res 1998; 29: 233–249. Pirbudak L, Karakurum G, Oner U, Gulec A, Karadasli H. Epidural corticosteroid injection and amitriptyline for the treatment of chronic low back pain associated with radiculopathy. Pain Clinic 2003; 15: 247–253. Pirbudak Cocelli L, Karakurum G, Cebesoy O, Karadaşlı H, Oner U. Clinical comparison of effectiveness of epidural triamcinolone and betamethasone in discal radiculalgia: a prospective, randomized study. J Musculoskeletal Pain 2009; 17: 281–286. Granados-Soto V, Argüelles CF. Synergic antinociceptive interaction between tramadol and gabapentin after local, spinal and systemic administration. Pharmacology 2005; 74: 200–208. Nawani DP, Agrawal S, Asthana V. Single shot epidural injection for cervical and lumbosaccral radiculopathies: a preliminary study. Korean J Pain 2010; 23: 254–257. Yanarates O, Dogrul A, Yildirim V, Sahin A, Sizlan A, Seyrek M, Akgül O, Kozak O, Kurt E, Aypar U. Spinal 5-HT7 receptors play an important role in the antinociceptive and antihyperalgesic effects of tramadol and its metabolite, O-Desmethyltramadol, via activation of descending serotonergic pathways. Anesthesiology 2010; 112: 696–710. Palazzo E, de Novellis V, Petrosino S, Marabese I, Vita D, Giordano C, Di Marzo V, Mangoni GS, Rossi F, Maione S. Neuropathic pain and the endocannabinoid system in the dorsal raphe: pharmacological treatment and interactions with the serotonergic system. Eur J Neurosci 2006; 24: 2011–2020. Kanayama M, Hashimato T, Shigendou K, Togawa D, Oha F. New treatment of lumbar disc herniation involving 5- hydroxytryptamine2A receptor inhibitor: a randomized controlled trial. J. Neurosurg Spine 2005; 2: 441–446. Kato K, Kikuchi S, Konno S, Sekiguchi M. Participation of 5-hydroxytryptamine in pain related behavior induced by nucleus pulposus applied on the nerve root in rats. Spine 2008; 33: 1330–1336. Ayres K, Kim H, Dionne R. The effects of genetic variation in serotonin and dopamine transporters on acute clinical pain in humans. J Pain 2006; 7: S4. Deniz FE, Yıldırım B, Etikan İ. Relationship between acute phase reactants and disc herniation. Türk Tıp Dergisi 2007; 1: 61–65 (in Turkish with English abstract). Crawford BA, Van der Wall H. Bone Scintigraphy in acute intraosseous disc herniation. Clin Nucl Med 2007; 32: 790– 792. Anderson AE, Sayers BL, Haniffa MA, Swan DJ, Diboll J, Wang XN, Isaacs JD, Hilkens CM. Differential regulation of naive and memory CD4 + T cells by alternatively activated dendritic cells. J Leukoc Biol 2008; 84: 124–133. Even JL, Crosby CG, Song Y, McGirt MJ, Devin CJ. Effects of epidural steroid injections on blood glucose levels in patients with diabetes mellitus. Spine 2012; 37: 46–50. Gonzalez P, Laker SR, Sullivan W, Harwood JE, Akuthota V. The effects of epidural betamethasone on blood glucose in patients with diabetes mellitus. PM R 2009; 1: 340–345. Younes M, Neffati F, Touzi M, Hassen-Zrour S, Fendri Y, Béjia I, Ben Amor A, Bergaoui N, Najjar MF. Systemic effects of epidural and intra-articular glucocorticoid injections in diabetic and non-diabetic patients. Joint Bone Spine 2007; 74: 472–476. ISNAD PİRBUDAK, LÜTFİYE , ÇİÇEK, HÜLYA , IŞIK, MUSTAFA , ZER, YASEMİN . "The effect of tramadol and tramadol + gabapentin combination in patients with lumbar disc herniation after epidural steroid injection". 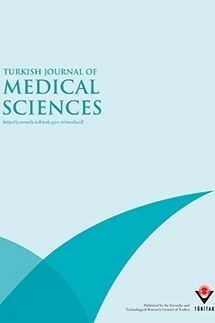 Turkish Journal of Medical Sciences 45 / 6 (December 2015): 1214-1219.